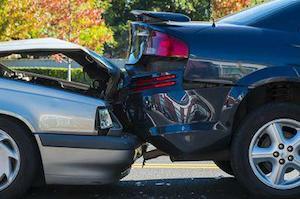 Have you suffered serious injuries in a car accident? Do you need medical attention and time off work to recover? Are insurance adjusters and investigators asking you to make statements on the record? Are you wondering what your rights are and what to do next? 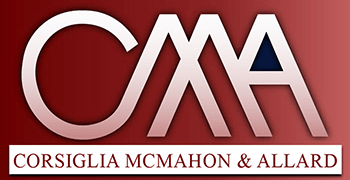 At the law firm of Corsiglia McMahon & Allard, L.L.P., our experienced San Jose car accident lawyers are dedicated answering your questions and providing you with the representation you deserve to hold those who caused your injuries accountable. Contact us today at our offices in San Jose for a free consultation. Call (408) 289-1417. We serve injured clients in Santa Cruz, Gilroy, Sunnyvale, San Jose, Santa Clara, and other Bay Area cities. Medical Bills: You may be wondering who will pay for your emergency room care and ongoing treatment. Even if you have health insurance, your co-pays and deductibles may be more than you can afford to pay on time. Lost Wages: If you have to take unpaid leave from work while you recover from your injuries, you may not have the income you need to pay your basic expenses. If your injuries are serious enough, you may not even be able to go back to your job. Pain and Suffering: Car accident injuries are often extremely painful and the long-term physical and psychological impact of the entire experience can be substantial. Under California law, you can be compensated for your pain and suffering. Property Damage: If the damage to your car or other vehicle was caused by another driver’s negligence, that person’s insurance company should pay for repairs. Our firm handles property damage issues for personal injury clients free of charge. Our car accident lawyers will vigorously pursue the compensation you deserve and charge you no fees or expenses unless we win your case. We also represent the families of those who have been killed in fatal car crashes. Our San Jose car accident attorneys have won recognition throughout the legal profession for their dedication to providing quality counsel and representation to car accident victims. We have a particular reputation for skillfully handling catastrophic injury and wrongful death cases. You can rely on us to retain the most top-notch credible experts to evaluate, document, and testify as to the consequences of your injuries. Do not hesitate to contact us to discuss what we can do to help you pursue full monetary recovery for your car accident injuries. Call (408) 289-1417 to speak to a San Jose car accident lawyer today.